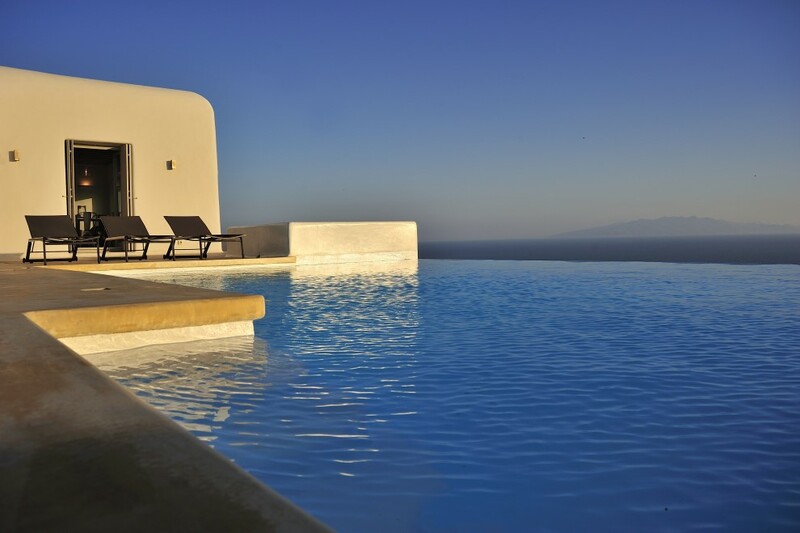 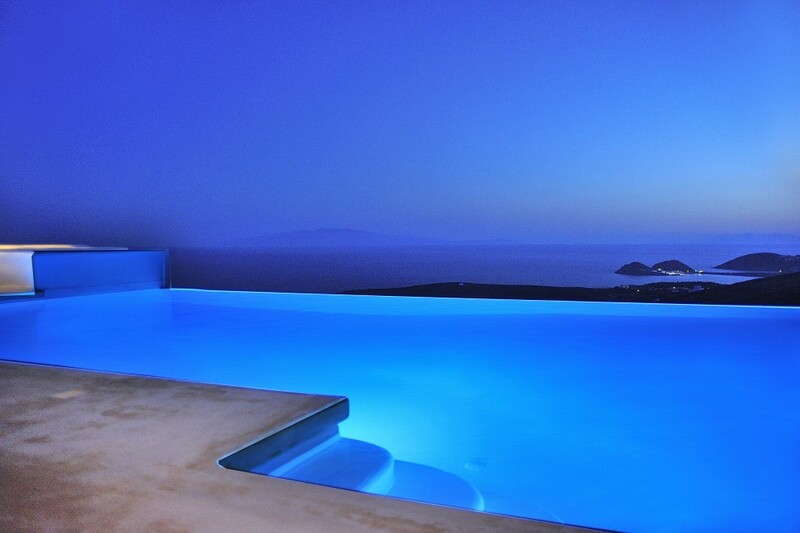 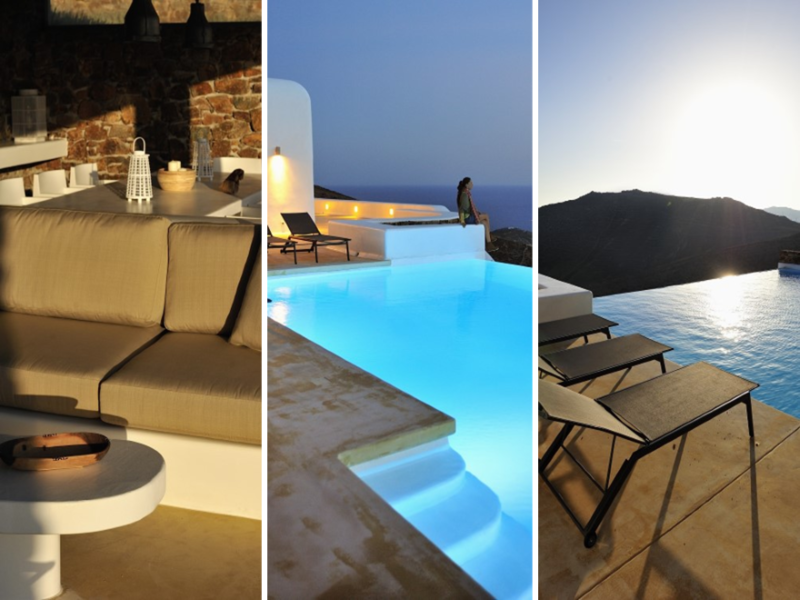 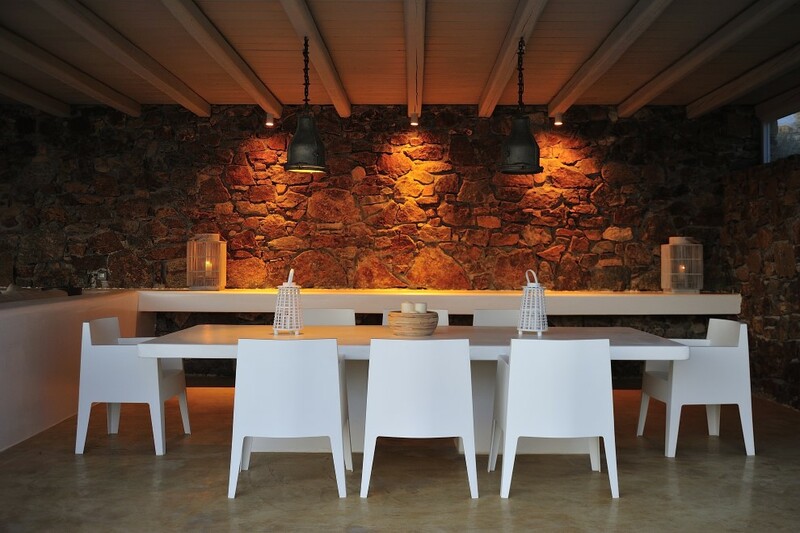 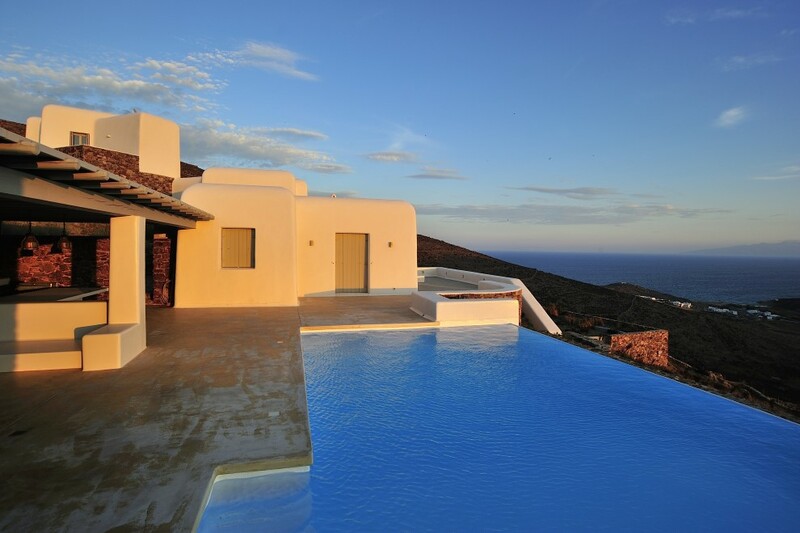 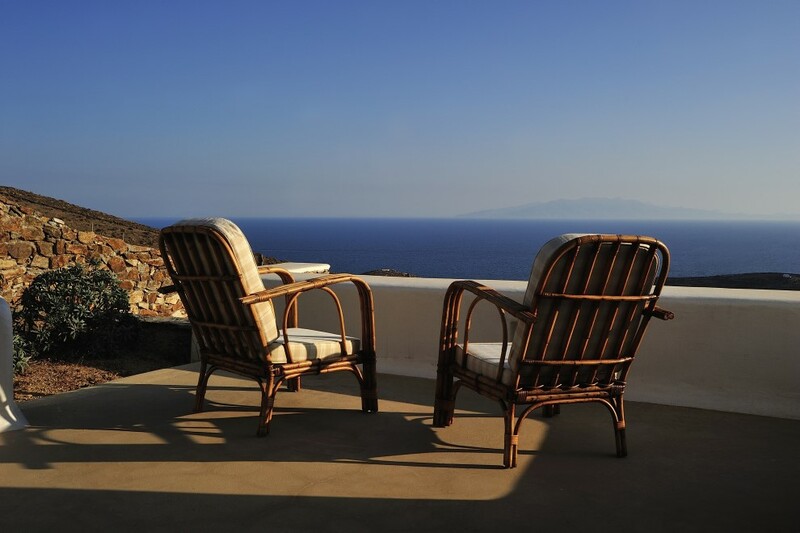 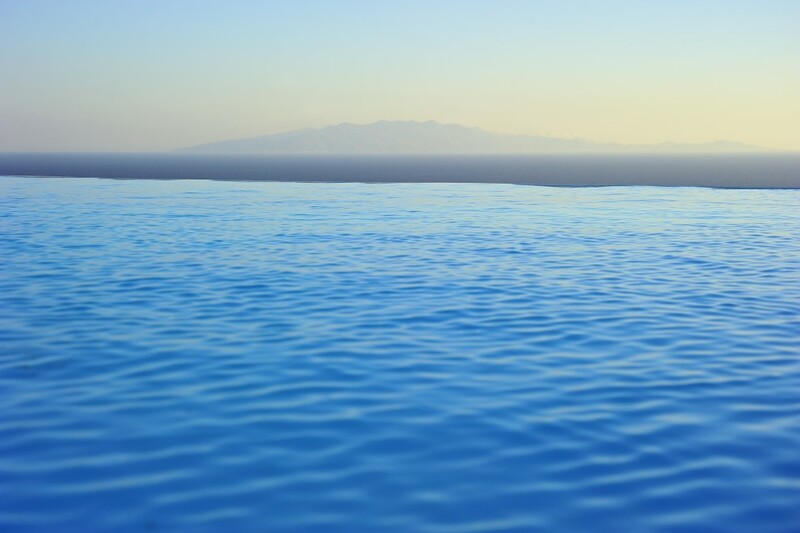 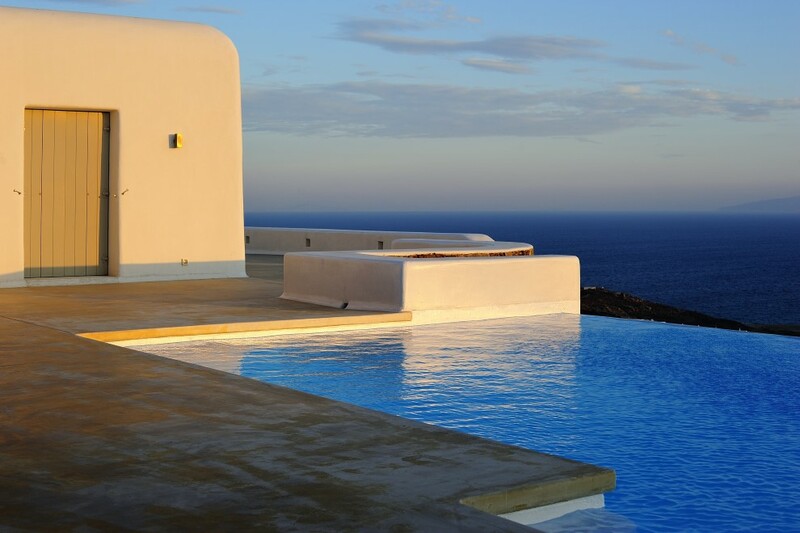 In the area of Lia in the south-east of Mykonos, villa ”Aressana” is built on the slope of a hill which enjoys the enchanting natural scenery around it and the peaceful view across the infinite blue of the Aegean. 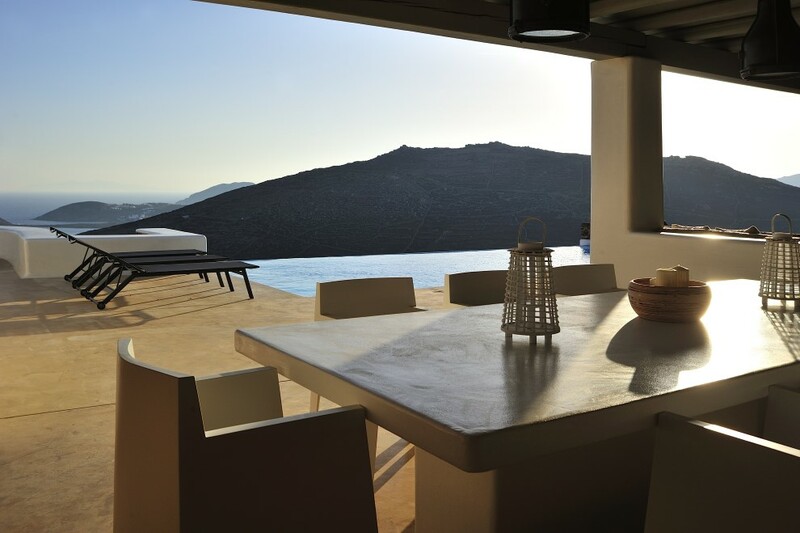 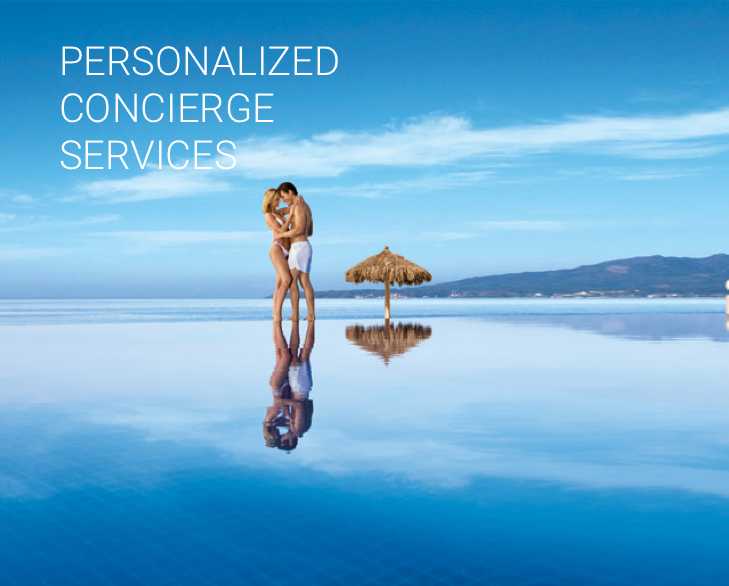 The beaches Lia, Kalo Livadi, Kalafatis, Elia are very close where guests may enjoy the crystal turquoise waters, sea sports and extraordinary dishes at the traditional tavernas and the cosmopolitan restaurants that adorn them. 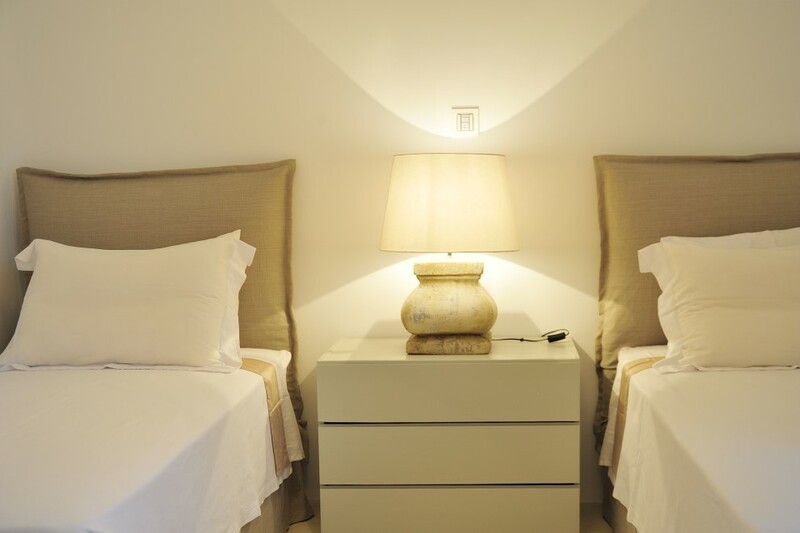 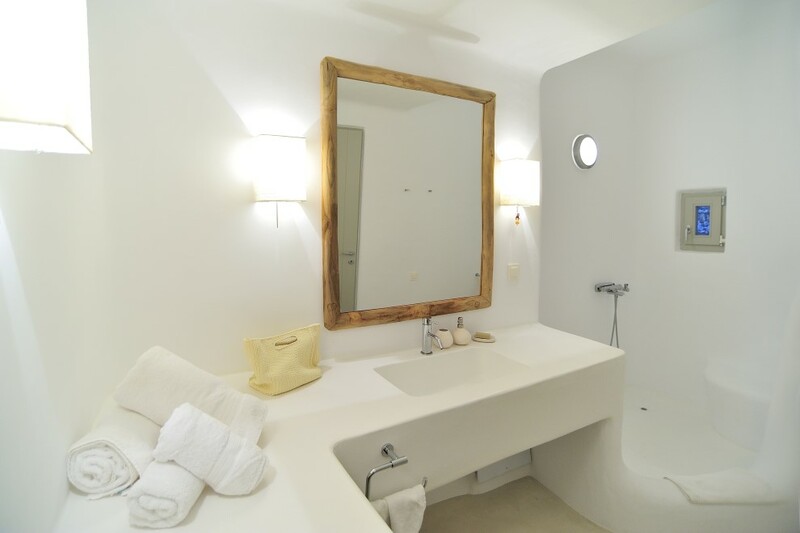 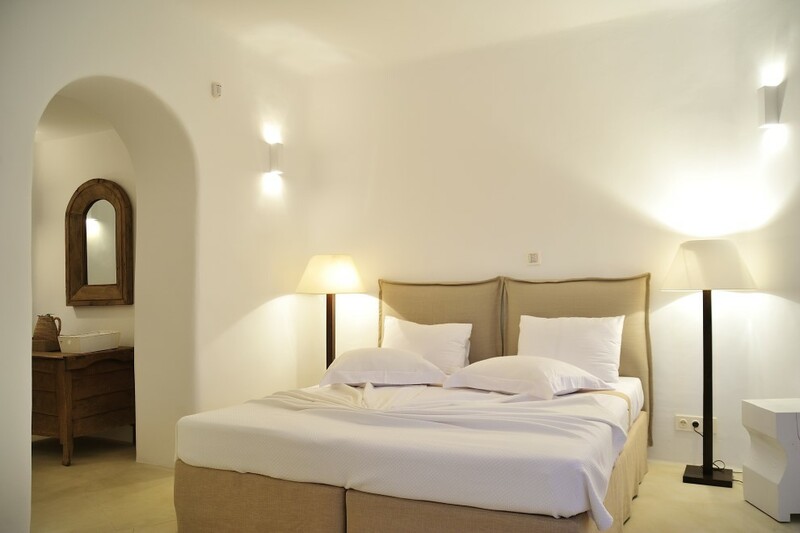 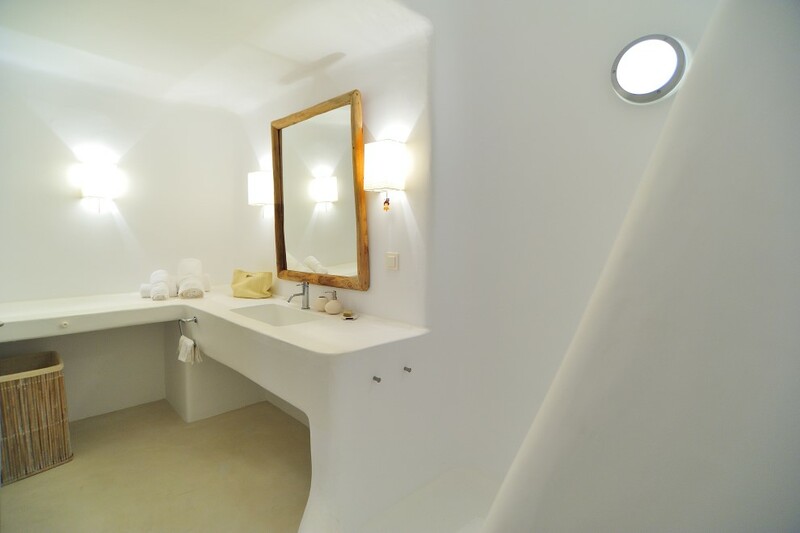 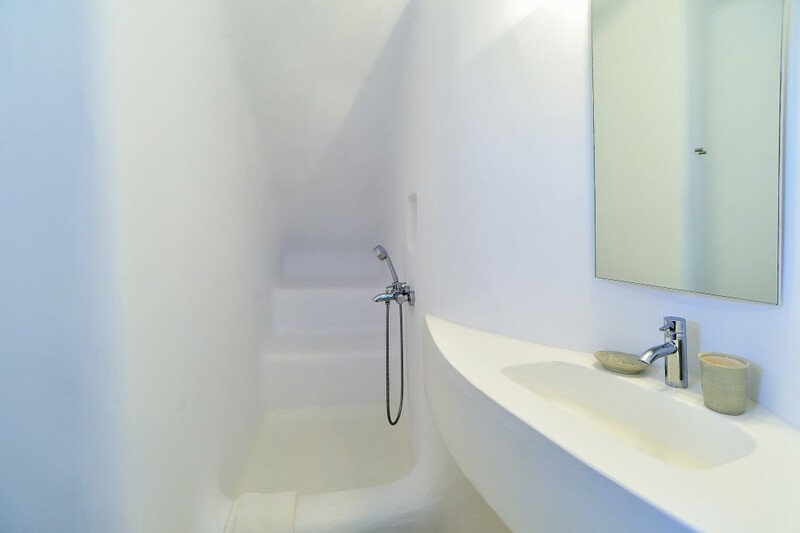 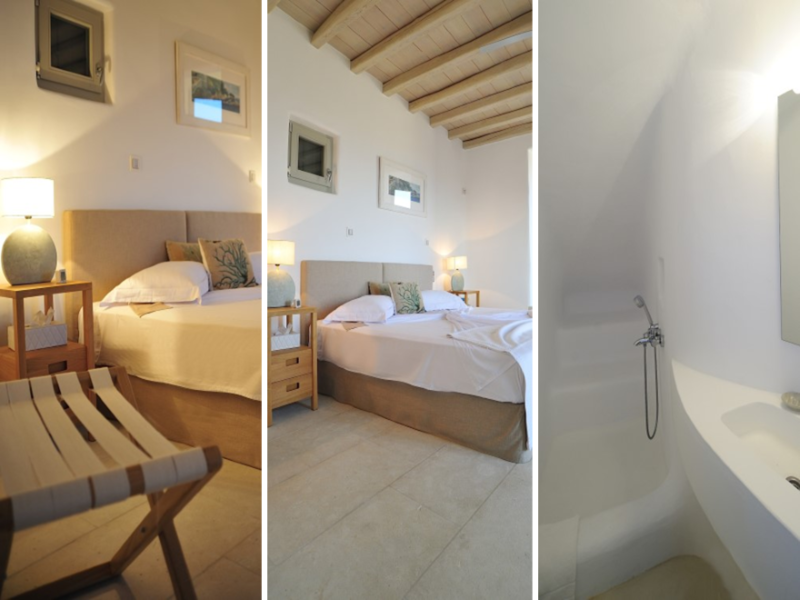 The Cycladic architecture of the villa is impressive, as it is perfectly harmonized with the natural environment, and adds its own charm to the beautiful atmosphere of the area. 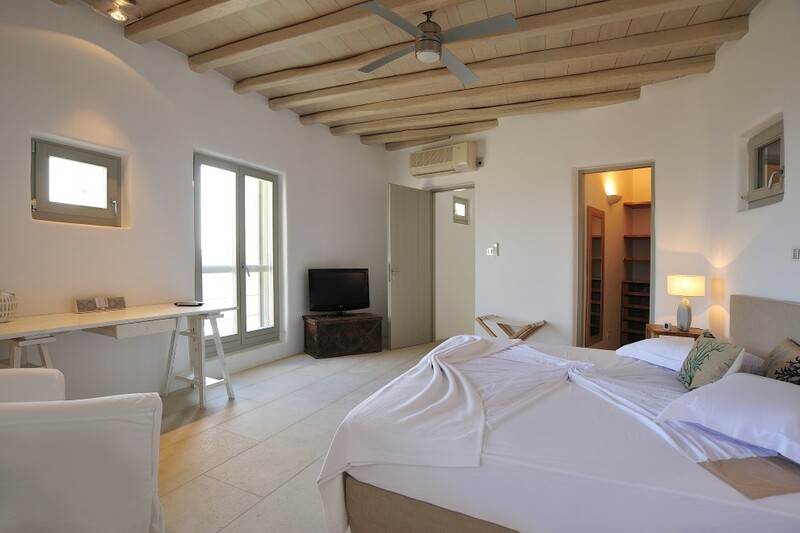 In the interior of villa “Aressana” there is minimal furniture with fresh tones along with items of local tradition that add a special charm. 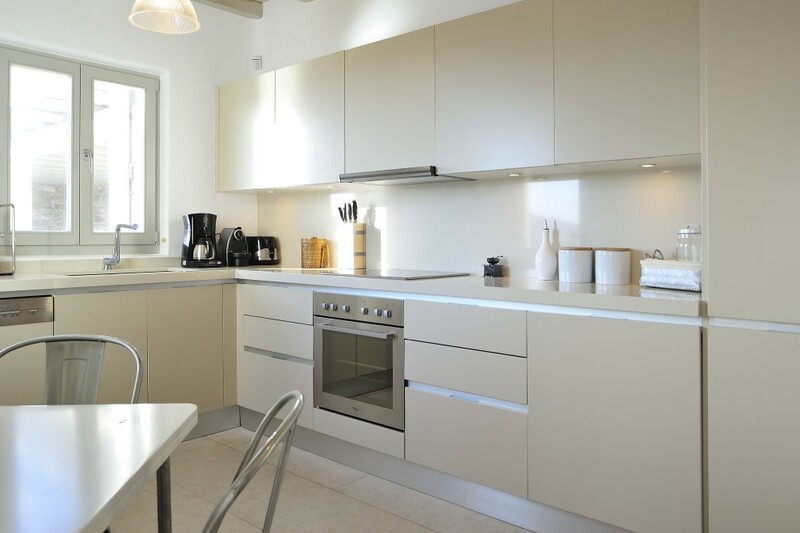 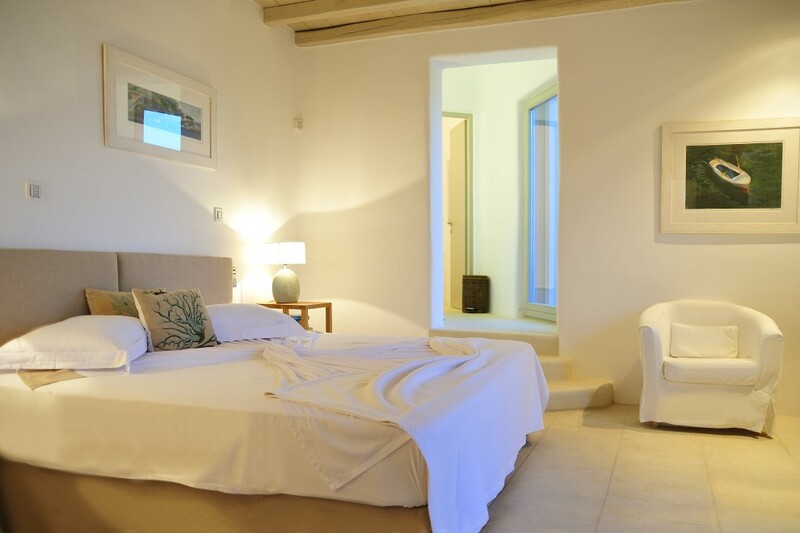 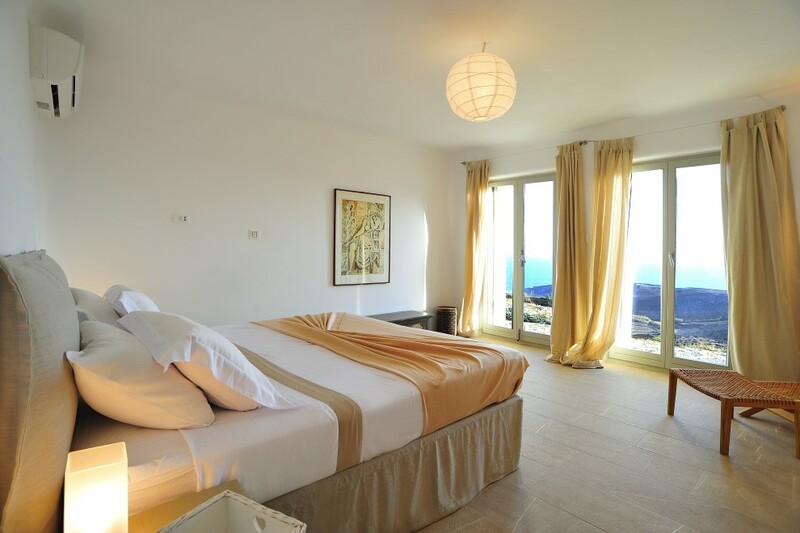 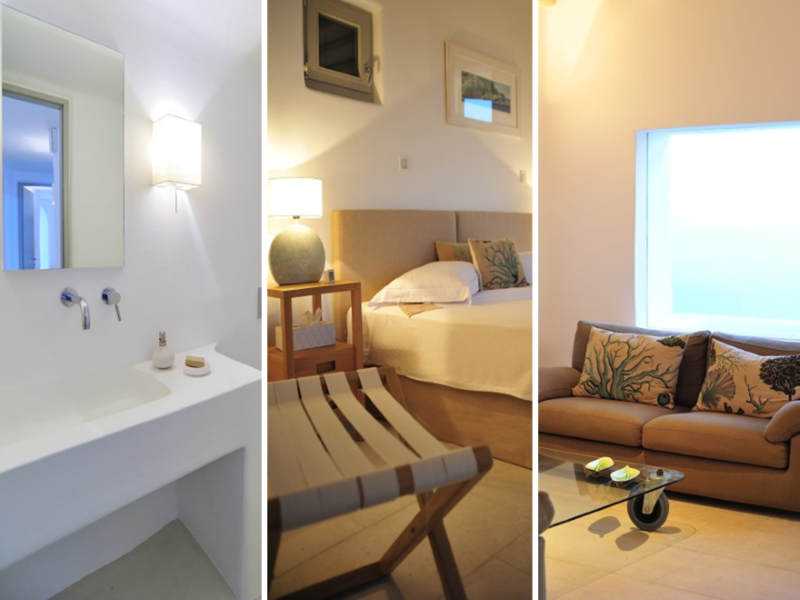 All the rooms are spacious, decorated with taste and look onto the sea or the garden. 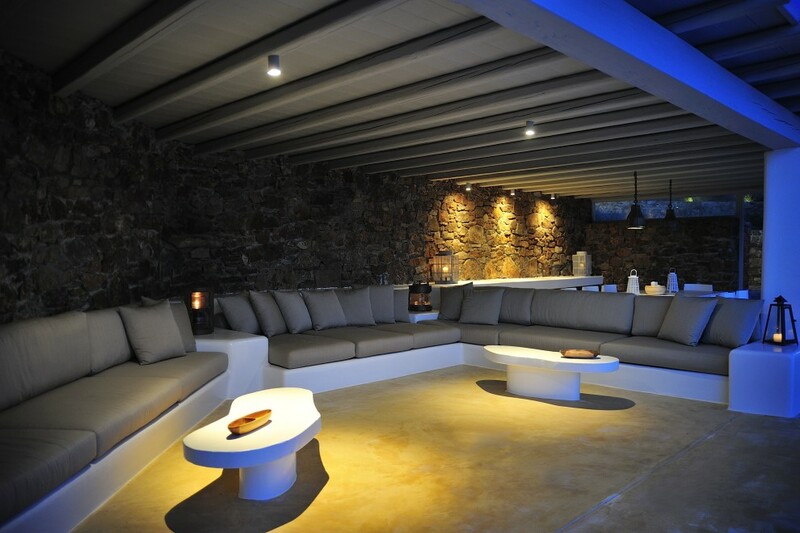 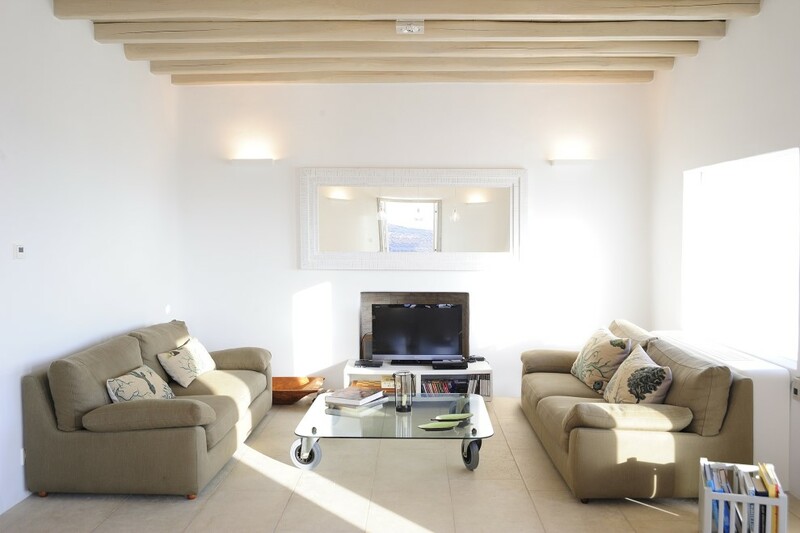 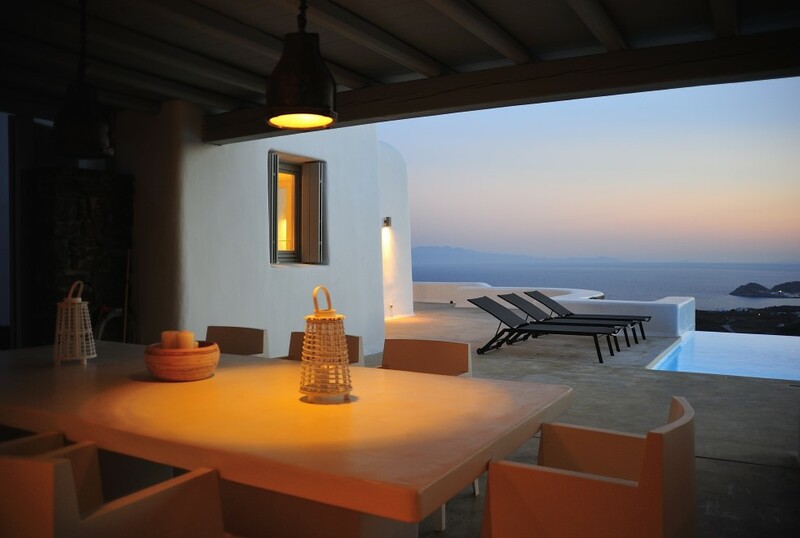 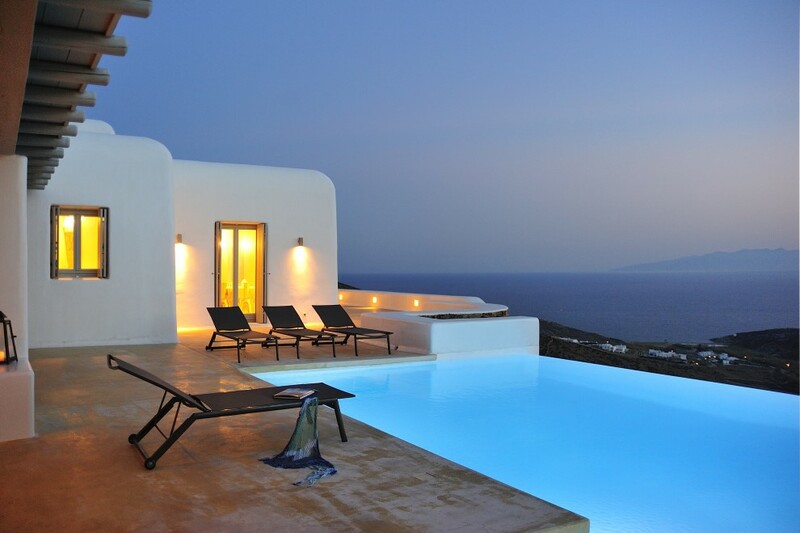 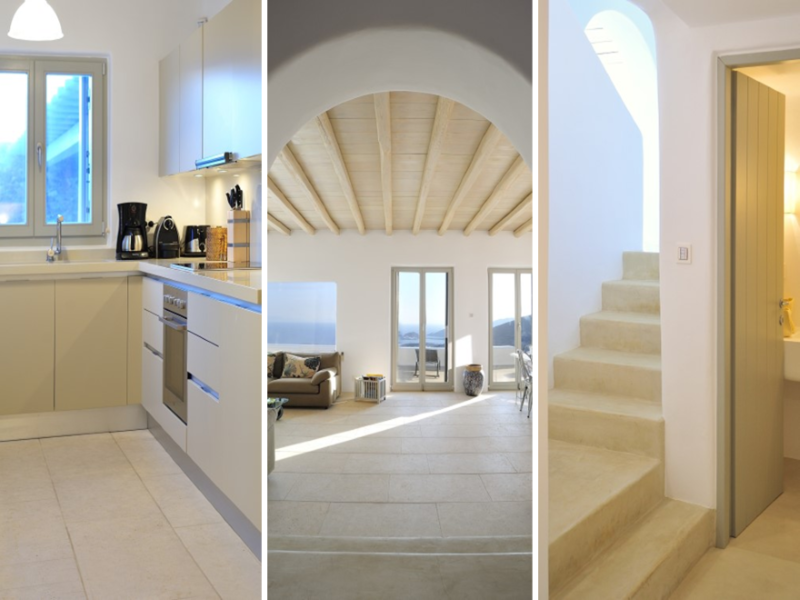 Villa “Aressana” is ideal for those who seek a quiet location and a resort with modern facilities in order to enjoy Mykonos through the fascinating charm offered by the eastern part of the island combined with the possibility to choose easy access to the cosmopolitan beaches and picturesque Ano Mera.